POWERS FRIDGE, FURNACE, WELL PUMP, AND MUCH MORE: The EM5000S can power a wide variety of appliances in your home. RUNS UP TO 11.2 HOURS ON 6.2 GALLON TANK: Runs approximately 11.2 hours at half load and 8.1 hours at full load. 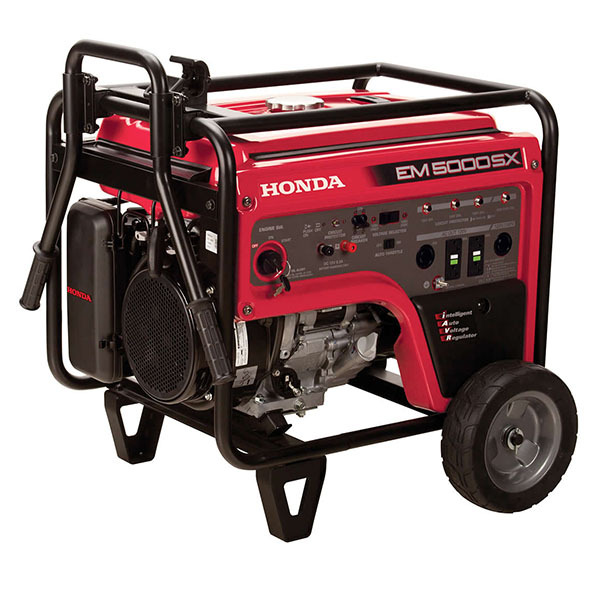 This makes the EM5000S great for overnight power. WHEEL KIT STANDARD: The EM5000S is easy to maneuver and transport. LOW 72 DB(A) SOUND LEVEL. GFCI PROTECTION: The EM5000 offers 2 duplex outlets with GFCI protection.